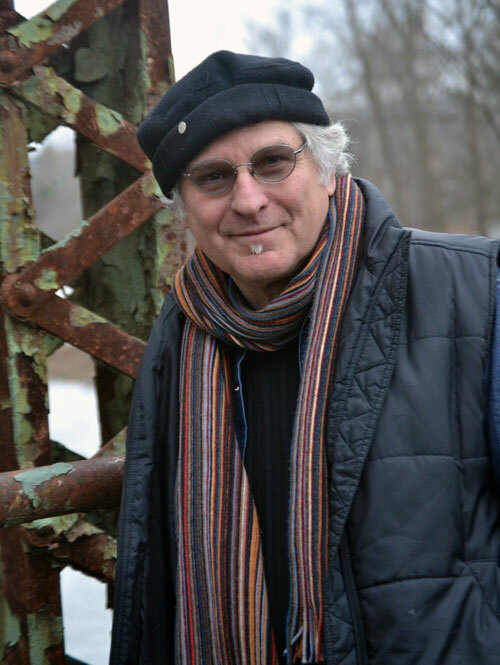 Craig Czury  has spent three decades conducting poetry, life-writing, and writing as healing workshops in schools, universities, community centers, juvenile detention centers, homeless shelters, and mental hospitals. Czury is a lecturer at Albright University, an editor, publisher, tireless arts advocate, and the author of over twenty books of poetry, most recently, Thumb Notes Almanac: Hitchhiking the Marcellus Shale (FootHills Publishing, 2016), a poetry documentary woven from his hitchhiking interviews and observations taken while hitchhiking through the heart of "fracking" in his home region of Northeastern Pennsylvania. He is the cohost and artistic director of the Old School Poetry Series at the Springville Schoolhouse Art Studios, where he lives, works, and plays bocce. 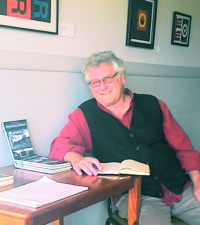 I’ve been a road dog for poetry ever since I was awarded the First Book Award from the Montana Arts Council in 1980. Invitations to conduct poetry writing workshops in schools began coming in and I found out that I was really good at stepping into a classroom and exciting students with language, getting them to write their own poems. For the next twenty-five years I made my living as an itinerant poet in schools, prisons, homeless shelters, mental hospitals, and community centers through various state arts councils and arts foundations, until No Child Left Behind knocked us all out of the water. In 2005 I went back to school to get an MFA in creative writing at Wilkes University and began teaching as an adjunct professor at Albright College, a small private school in Pennsylvania—not at all the same game as stepping into a room, making it spontaneously combust with poetry, and driving off to my next unknown excitement. With the publication of my new book, Thumb Notes Almanac: Hitchhiking the Marcelus Shale , I took a leave of absence from my college teaching, bought a ’99 Volvo station wagon to bunk in, and, thanks to my publisher Michael Czarnecki of FootHills Publishing  for introducing me to Poets & Writers, and my agent Kimberly Crafton, I set up a reading series throughout upstate New York. Within six months, I rolled into Cuba, Peru, Rome, Macedon, Utica, Bath, Endicott—global names of towns fitting the global consciousness of poetry . The salary I earned from my P&W–sponsored workshops and readings, afforded me airfare to Italy for a reading tour in May and June, where Thumb Notes Almanac had been translated and published into Italian . And when I returned, P&W kept me afloat to not only work on my next book of poems, but to encourage others, in out-of-the-way communities, to explore and take more seriously their own writing. the world which requires us to sustain. We determine as whole and well on Planet Earth. We sustain, because we must. and we shall be blessed because of it.